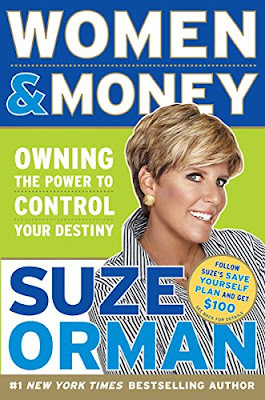 Suze Orman was born today, June 5, in 1951. She is an American author, financial advisor, motivational speaker, and television host. She earned a degree in social work then worked as a financial advisor for Merrill Lynch. In 1983, she became a vice president of retail customer investments at Prudential Bache Securities. 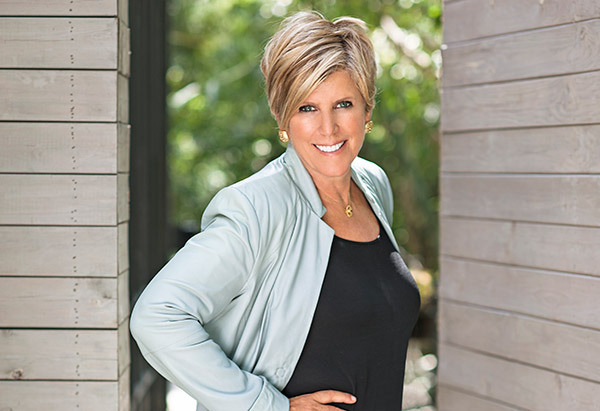 In 1987, she founded the Suze Orman Financial Group. In 2002, her program The Suze Orman Show began airing on CNBC. In 2006, she won a Gracie Award for Outstanding Program Host. She has written several books on the topic of personal finance. Orman was born in Chicago. She attended the University of Illinois at Urbana-Champaign and received a B.A. in 1976. In 2009, Orman received an honorary doctorate of humane letters from the University of Illinois at Urbana-Champaign. After finishing school, Orman moved to Berkeley, California, where she worked as a waitress. In 1980, she borrowed $52,000 from friends and wellwishers to open a restaurant. Still an investment novice, she invested that money through a representative at Merrill Lynch, who promptly lost her entire investment in trading options. Later, Orman trained as an account executive for Merrill Lynch, where she learned that the type of investment her broker had put her in was not suitable for her needs, as option trading is considered a high-risk but high-reward investment suitable only for high net worth individuals. It was explained to her that because her broker was the highest producing representative in the office, his actions went unchecked. While still employed at the firm, she successfully sued Merrill Lynch for a prior investment loss of $50,000. After completing her training with Merrill Lynch, she remained at the firm until 1983, when she left to become a vice president of investments at Prudential Bache Securities. Orman published three books between 1997-99: The 9 Steps to Financial Freedom (1997), You Earned it Don't Lose it (1999), and The Courage to be Rich(1999). Other books by Orman include: The Road to Wealth (2001) and The Laws of Money, The Lessons of Life (2003). The Suze Orman Show began airing on CNBC in 2002. In February 2008, Orman gave away copies of her book Women and Money for free following an appearance on The Oprah Winfrey Show, generating almost two million downloads. Orman writes a financial advice column for O, The Oprah Magazine. She is the former author of Yahoo! 's "Money Matters" and has written for the Costco Connection Magazine. She contributes to The Philadelphia Inquirer, Lowes MoneyWorks, and Your Business at Home Magazine. Orman's final episode of The Suze Orman Show aired on March 28, 2015, so Orman could develop a new series, Suze Orman's Money Wars, for Warner Bros. Telepictures Productions. In February 2007, Orman stated that she is a lesbian. Orman has been married to Kathy Travis (with Orman at right) since 2010.